After the Lawrence Journal World covered it in Town Talk this past week, I had to drop in this new shop and see it for myself. 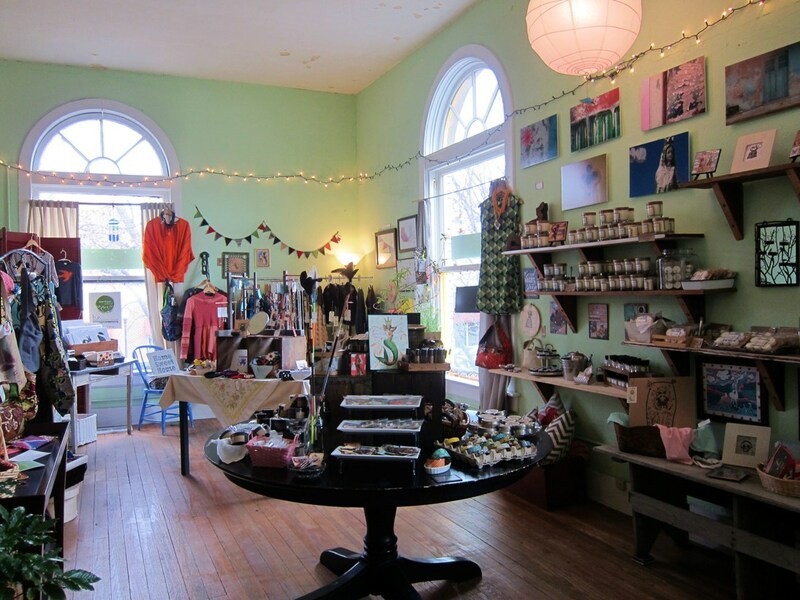 Essential Goods has been open since late last November, and is all about handcrafted local and independent works. 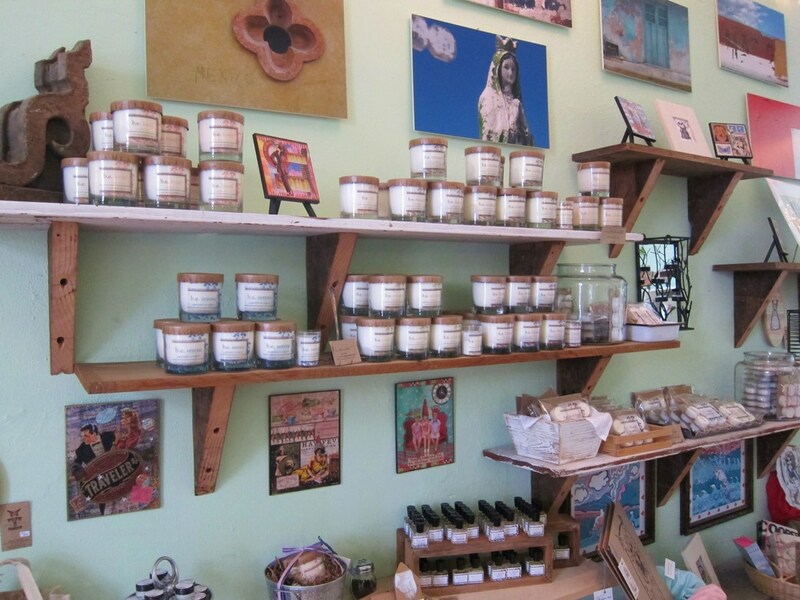 More than a quaint shop, this space is also home to Nurture Botanicals working studio where the natural candles and body care products are made. I stopped in this past Saturday (it’s located above Java Break, in the historic Palladian building downtown) and even got to chat with a couple of the wonderful women that made Essential Goods a reality (thanks, Molly & Cheryl). Charming interior reflects the unique quality and style of the products it showcases. Register area is surrounded with filthEdesign art and Feather Spring Arts necklaces. I was told LOLA was kiiind of the impetus for this store. 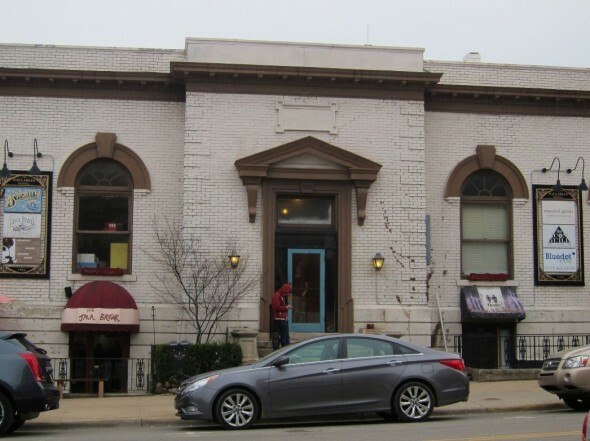 Molly, the store owner, knew that local artists were involved in LOLA events a few times a year, but otherwise most of them didn’t have much of a physical presence in Lawrence. 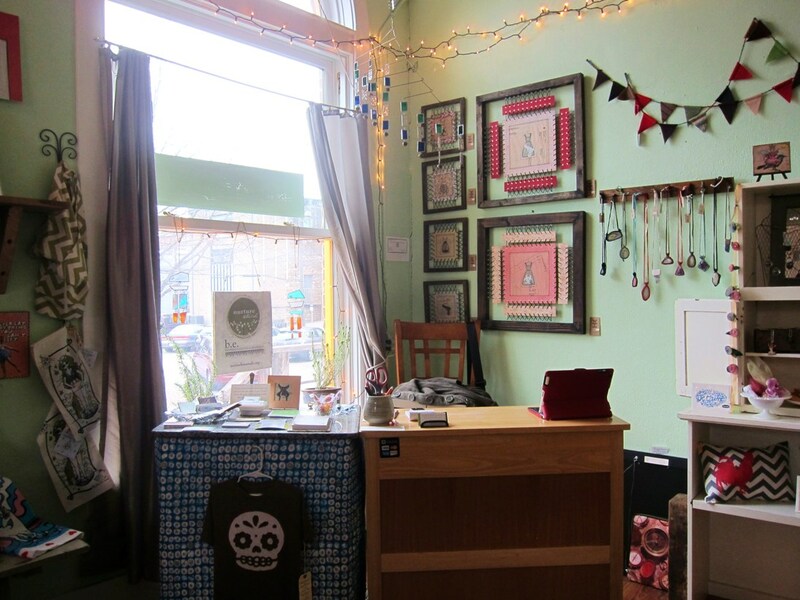 Essential Goods is a space where these local artists can have a constant presence. The shop carries so many great products that I recognized upon entering the space, but I was especially thrilled to see Awava occupying some space in the corner. It’s nice to know I can come by the store to see (/touch/try on) Awava attire (as opposed to spending way too much time staring at the products online)! 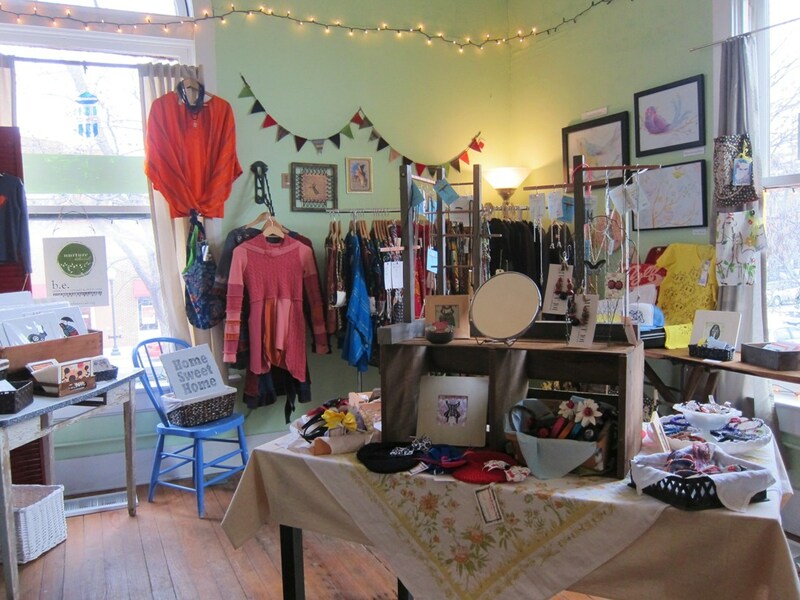 Overall, the store carries the work of 20 different local artists (and counting). Cards, clothing, artwork, jewelry, headbands, baby clothes, etc. Nurture Botanicals products & b.e. candles and perfumes. Another product I was happy to see was the b.e. candles. I was recently gifted one of the b.e. refreshed (lemongrass) candles, and mmmmmmm… it’s so fresh and clean. Some candles tend to be overpowering (or worse, the opposite – barely there), but this candle strikes such a nice balance between fragrance and simple refreshment. Highly recommended! Anyway (clearly I was easily distracted here), I reined in my impulses while I was in the store since I had swooped in during the 10 remaining minutes the store was open that day. Ultimately, I picked up some no-fail, uber-modern notecards to send to loved ones. 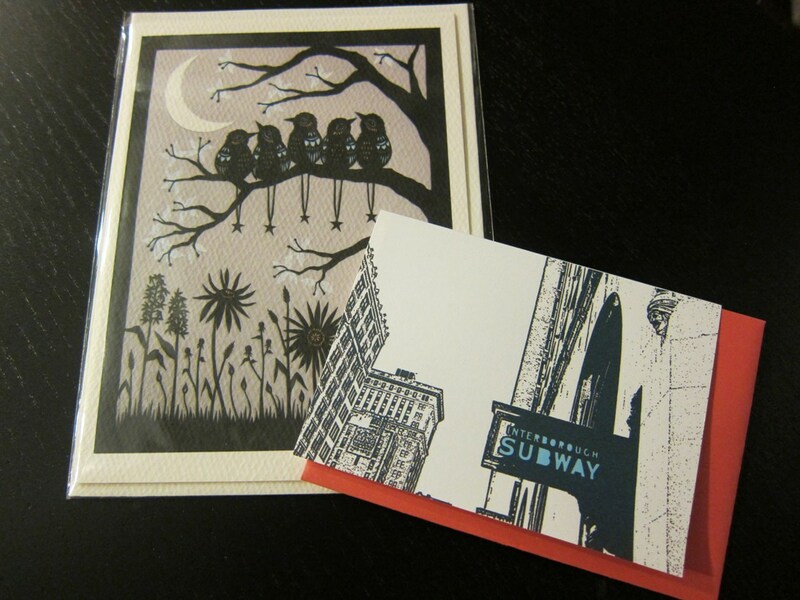 The larger card with the birds on it is by Angie Pickman ($4.50) and the card with the New York subway design is by pepperina press ($2.75). Total damage was minimal at $7.89, but there’s plenty of time to head back on a Thursday, Friday or Saturday in the future! 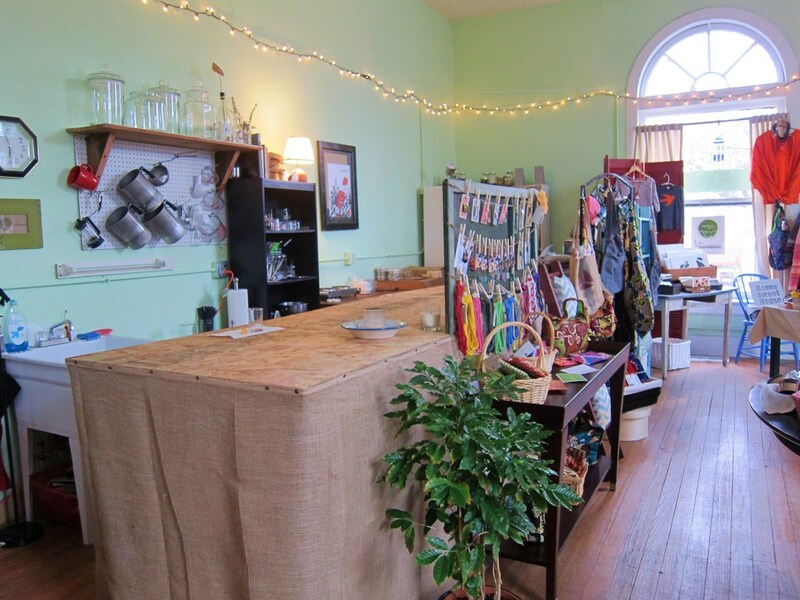 Check out the fresh Nurture Botanicals working studio space! Sweet cards to send to my loved ones - fresh from Lawrence. Essential Goods is open Thurs 12-7pm; Fri 12-6; Sat 10-6. Find Essential Goods at: 15 E. 7th Street, Lawrence KS 66044. This entry was posted on Monday, March 18th, 2013 at 2:41 am. It is filed under Businesses and tagged with art, Final Fridays, gifts, jewelry, shopping. You can follow any responses to this entry through the RSS 2.0 feed. Thank you! Great review of Essential Goods.